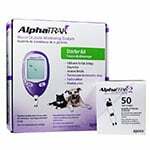 AlphaTRAK 2 Blood Glucose Monitoring Starter Kit has everything you need to manage your pet's diabetes. It is a portable blood glucose monitoring system validated for cats and dogs. It comes with the AlphaTRAK 2 Blood Glucose Monitoring System, 25 AlphaTRAK 2 Test Strips, Lancing Device, 30 AlphaTRAK Lancets, AlphaTRAK Control Solution, Diabetes Diary, User's Guide, & Carrying Case. 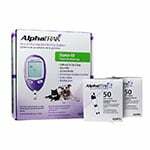 AlphaTRAK 2 Blood Glucose Monitoring Starter Kit is the ideal solution to your pet's diabetic care needs. 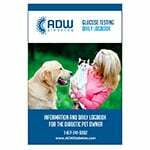 The portable pet glucometer is calibrated for both cats and dogs and designed to provide accurate readings. It features auto on/off option for faster testing and an easy-to-use three-step process that provides results in seconds. Thanks to patented technology, this pet glucose meter requires an extremely small blood sample of only 0.3 µL, making it a less painful testing experience for your pet. 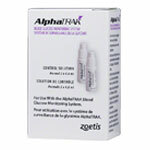 AlphaTRAK dog glucose meter can use capillary blood, so no venous puncture is needed. Designed for easy at-home monitoring for your pet, the Electronic Data Master tracks and reports meter readings, treatments and other activities so you can manage your pet's health with ease. You can only use the new AlphaTRAK 2 test strips with this meter. My dog is not yet regulated and I purchased the equipment so she wouldn’t have to go to the vet so often, but I am not able to get a reading! I am very disappointed that the lancet does not produce enough blood for us to get a reading. I have tried repeatedly to poke her in her ear but this proved ineffective. I am concerned because I don’t want to take her to the vet so often, besides being costly she gets very upset at the vet. I thought I’d be able to avoid undo stress on her by being able to take the reading at home. Easy to use. Doesn’t require a lot of blood. Thank goodness. Great for my dog who gets anxiety going to the vet for monitoring. I find the lancing device does not get a good drop of blood from the ear and have had to use it in her paw area. We were very pleased with how fast we received the meter.We had just started our cat back on insulin, when our old meter quit working, I called the company and received it in 2 days. Thank you! will definitely order again. I find the lancing device easier to use than the old one. Do find it difficult to set the time. As my dog is now well regulated and only check her sugar every other week, her last 2 readings were the same. Unusual. Piece of mind with your diabetic pet. This is a great device. Could not do without it after my elderly dog was diagnosed with diabetes. The initial tests and daily trips to the vet for her glucose curve (which is well into it's third week) are costly and add up very quickly. Having the ability to check her sugars at home and avoid constant trips to the vet made it affordable and gave me a little more piece of mind between the necessary trips that we did have to make. It is very important that you have a vet you trust and that won't mind answering all your questions and walking you through whatever you are having difficulties with. 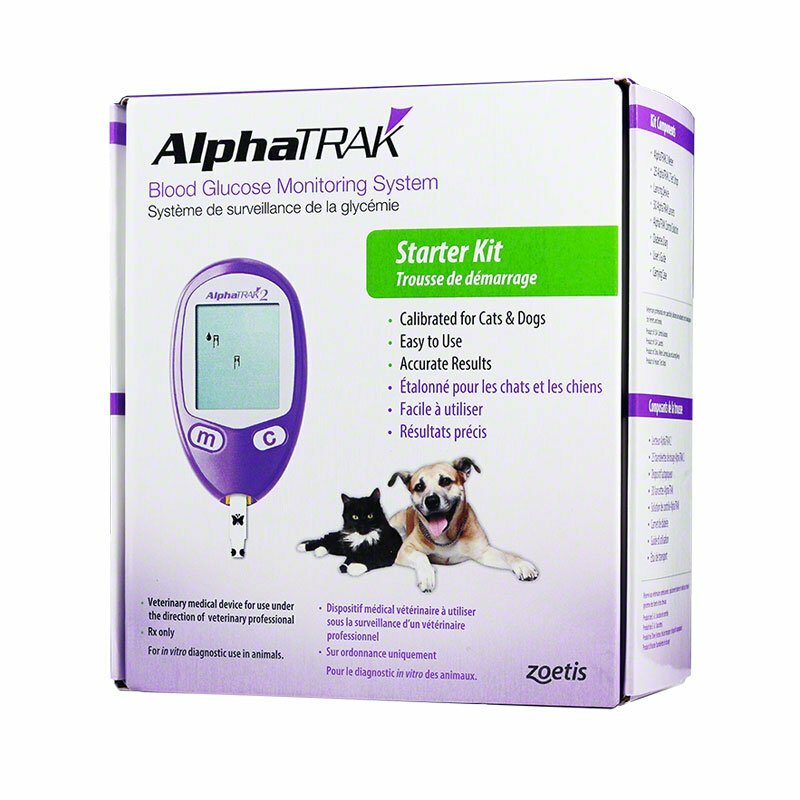 Diabetes is scary at first, but the alpha track and alpha trak 2 will get you through it and you will never question your pets blood sugar again. The only issue I have had is getting the blood on the strip. At times there is ALOT and it still won't register in time and the strip will beep, and read Error. It only does it sometimes and I guess you learn to navigate thru it. Other than that, I can't live without the piece of mind it gives me! Make sure you read all the booklets and instructions and it is so important that you code your device with EVERY new box of test strips that you use. Read about coding in your instruction booklet. There is a cat code and a dog code on every container of test strips. Good luck! I am a bit disappointed. The batch of strips I received in the kit do not register. One work then the next one doesn't. I had the same issue with the lancet, that at 5 it would not penetrate so I had to just use the lancet. This unit is easy to use. It gives me peace of mind knowing what my cats glucose levels are.